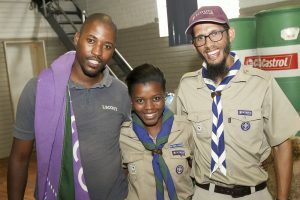 The Western Cape Scouting in Schools project was established in November 2015 in partnership with the Western Cape Government’s Game Changer’s initiative and has mushroomed and enjoyed many victories. 2018 saw the first schools participating in the WC Kontiki fringe, which was an awesome experience for all. 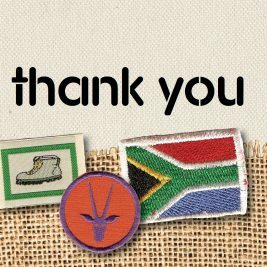 We would like to acknowledge and thank the entire Western Cape Scouting community for the support, assistance and encouragement in this time. Since introducing the programme, we have seen 2nd generation intern leaders who are no longer part of the programme, but are giving back to community Scout Groups as active and participating Scouters. Part of our agreement with our funders is that we prepare these intern leaders for the job market as well as assist them in securing 12 months contracts where they are able to tap into the working world and begin to build their interest and careers. Over the past year we have introduced these young interns to many facets of work life. Interpersonal skills, planning, time management, solution seeking and teamwork have all been highlighted as they underwent leader training, First aid certification and running meetings after school were part and parcel of their programme. We have assisted them to build their CV’s and identify careers paths they may be interested in. We are able to provide references and recommendations. Our huge task now is to find 12 month employment contracts as a first job or work intern for these youth. We therefore appeal to members and supporters to spread the work and help us by find employment contracts for these young adults. Information about our intern pool can be shared if you are able to assist. In being able to show these successes we would be able to maintain and develop long standing beneficial relationships with funders, which can unlock many opportunities Scouting.